Jacob is 5 and loves trains, and we have a huge stash of wooden train track already, which gets played with on a daily basis. He loved this Brio Metro railway set and I think it would be a great addition to our current railway collection. He has been learning about London at school, and told me this train looks like ‘the trains that go under the floor’ – I think he means the Underground! 3. Gemma’s turn to choose now. She is almost 8 and very hard to please, but her first selection was the Wonderworld Eco dolls house. I have to agree with her choice here – I know I would have loved this when I was here age (OK, OK I would still love it now). It comes with dolls and furniture, so it is ready to play with straight away, and the addition of solar panels and recycling bins gives you a great excuse to have a chat with your little one about being green. Hours of imaginative play to be had with this one! 4. Gemma’s second choice was the Gigamic game. She loves puzzles, and is constantly on the lookout for new and interesting ones, so this grabbed her attention straight away. This would be something she could do independently or with others, and would help stimulate those brain cells! Perfect for passing on to her brothers when they get older too! 5. Finally, I asked them both to work together and choose something they thought Max would like, as at just 6 months old he can’t choose for himself just yet! They both agreed on this Haba colour whorl clutching toy – they thought it would be the right size and shape for Max to hold, and they thought he would like the colours. I think they chose well! I actually think the children chose really well – and I think all these toys would make great Christmas presents, as they are items that the whole family can get involved with – building, playing and creating. And lets be honest here – family is what Christmas is all about. Next Post Being paid to breastfeed your baby – what is the world coming to?! oh i love the ball track i had a similar one when i was little hours of fun to be had!! what a fab wishlist! The ball track looks great doesn’t it? 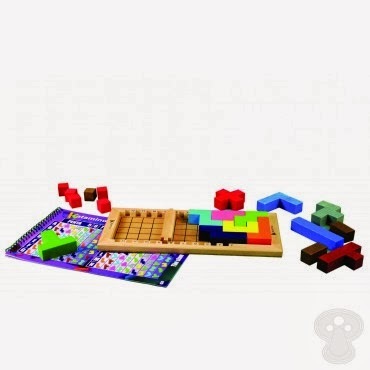 Fab selection, I love wooden toys. me too – I always look for wooden toys! Wow the ball track looks ace -I’m off to look at that properly! One of my favourites too – let me know what you think! great choices, I love the ball track and the metro! The metro looks so fun! I love wooden toys so much, more companies should make them in my opinion! Your children have very good taste. I love all of these toys! I wish we didn’t already have a dolls house as the eco one is amazing. And that metro train set is just awesome! Adding that to the girls’ list immediately! Great post! Makes me wish I was little again so I could play with all of those! Me too – especially the dolls house! We have the HABA ball track and it is a fab toy. We use those HABA building blocks for all sorts of things. Last night they got pressed into maths homework service. That;s what I love about toys like that – so versatile! Oh, I do love The Toadstool. 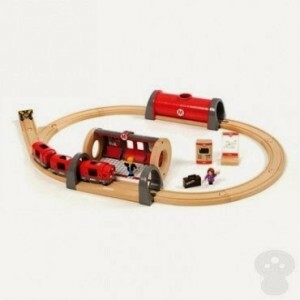 I really enjoyed writing my wishlist post for them, too, and have obviously ‘needed’ to buy a ball track already! I’m all done and wrapped. I’m glad I don’t have kids because I’d have to share my toys with them. This year I’m getting a Maximus Soft Toy from Tangled. I love the traditional wooden toys. They are usually more durable as well as lovely to look at. 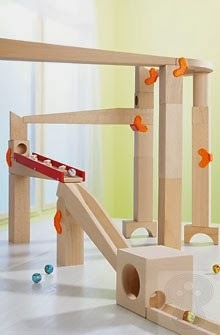 I think any of my children would be thrilled to receive the marble run.